I’m Dr Helen McCarthy, The Appetite Doctor. When it comes to the psychology of eating and weight loss, I know what I’m talking about both professionally and personally. As a Clinical Psychologist I’ve been helping people change for 29 years. I have three degrees in Psychology, including a doctorate in Psychology from Oxford University. 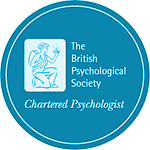 I’m an Associate Fellow of the British Psychological Society. Since I began my first degree in psychology in 1978 what I’ve loved most of all, is putting psychology into practice to help people overcome what’s troubling them. When I began to work on the psychology of weight loss in 2011, I used myself as my first guinea pig. I lost one and a half stone over 6 months and have kept it off very easily in the years since. That was very challenging and exciting. Since then I’ve lived and breathed the psychology of eating and weight loss. I read everything I can get my hands on. Thousands of hours’ work later, Appetite Retraining is a distillation of everything I’ve discovered. And I absolutely love helping people to use it for their own weight loss. Here’s how my work as the Appetite Doctor began . . .
One hot day in the summer of 2011, my client Megan was at the end of 12 sessions of psychological therapy with me. At 40 years old Megan had developed bulimia nervosa which had been triggered by following a Very Low Calorie meal replacement programme. I was able to treat the bulimia nervosa using conventional cognitive behavioural therapy and Megan had returned to eating normally. Megan was relieved and delighted to have made such a positive recovery and thanked me as she left the room. On her way out of the door she turned and said, “I just wish I could lose another stone in weight”, then said goodbye and went. I was stunned. I had been able, as a Clinical Psychologist, to help Megan overcome a serious eating disorder, but I had no idea how to help her simply lose a stone. Not least because I was a stone and a half above where I wanted to be and I hadn’t managed to shift that. Once Megan’s throw-away remark woke me up to the fact that all of my Clinical Psychology training and experience wasn’t up to the job of helping people lose even a moderate amount of weight, I was like a dog with a bone. I had no idea whether I could succeed, but I set myself the goal of losing a stone over the next four months (in the end I lost one and a half stone over 6 months). Using myself as my first guinea pig, the first obstacle was that the following week I was going to the South of France on holiday. My weight loss foods were going to have to include French cheese, baguettes, pains au raisins and chilled rose wine, because as well as the sun and the sea, that’s what I was going on holiday for. I figured that if I adjusted how much of these I ate, I’d be able to start losing weight on my version of the Mediterranean diet. I rapidly discovered that when I ate less at a meal, I was hungry again by the next. Not rocket science, but I hadn’t taken much notice of whether I was hungry for as long as I could remember. Hungry felt scary at first, so I had to learn how not to feel anxious about feeling hungry. Once the keystones of deliciousness and feelings of hunger and fullness were in place, I soon realised that the key was to work with, not against, our bodily systems which have evolved to govern appetite and eating. Experimenting with a mix of conventional and cutting-edge psychological techniques I lost a stone and then another half. Although it took effort and focus to lose the weight, maintaining the weight loss was easy and I have kept that weight off ever since.